The CWPA is made with a die cast aluminum housing and integral hinging feature for ease of maintenance. Available in high-pressure sodium 70W-150W and metal halide from 70W-175W. 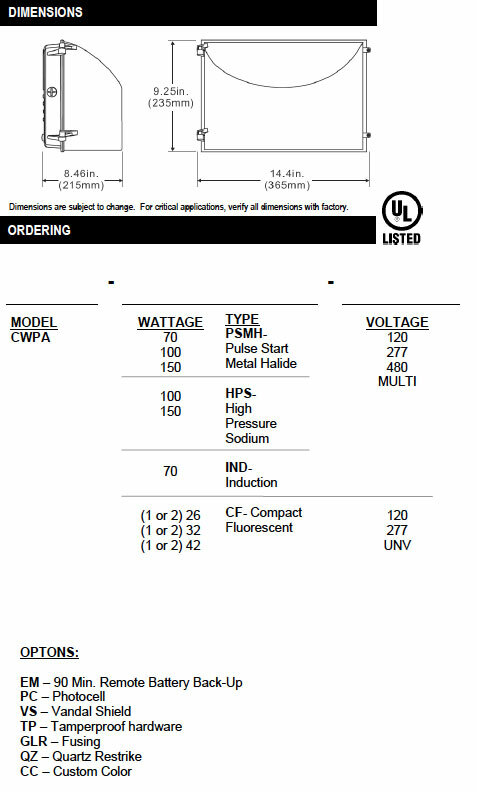 42W CFL also available. Heat and impact-resistant tempered glass is standard. 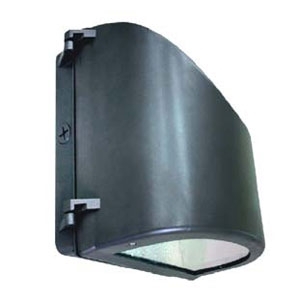 Textured anodized aluminum reflector delivers uniform light distribution. ½” threaded apertures are provided for surface conduit installation and/or optional factory installed photocells. Fully gasketed weather resistant construction. Unit mounts directly over standard 4” outlet box or with surface conduit conditions. Baked on premium architectural bronze for maximum durability is standard. Custom colors are available upon request.